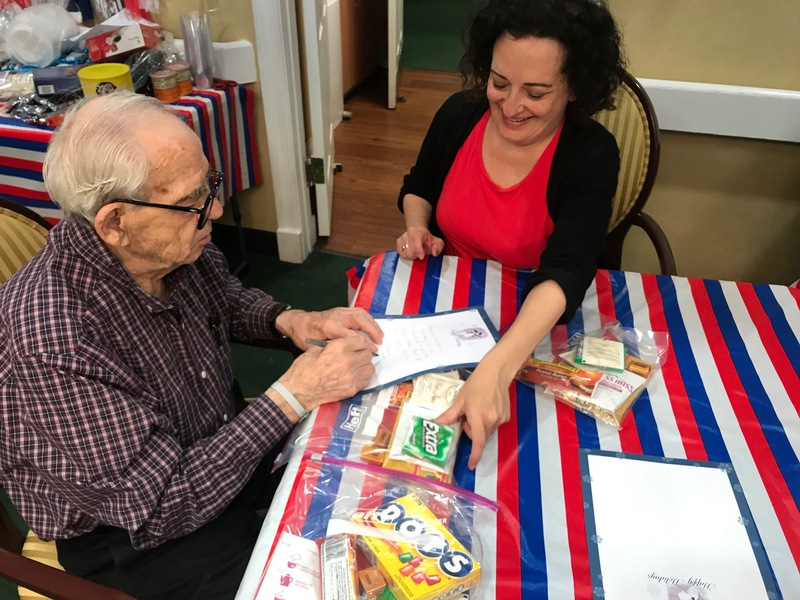 Pennington, NJ, December 5, 2018 — Residents of Brandywine Living at Pennington, a premier provider of quality care and services to seniors, had a full house at a recent community program to thank members of the U.S. military for their service to the nation. 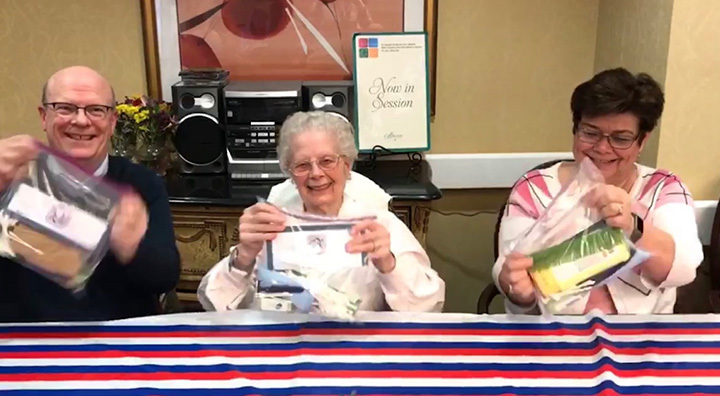 The residents had spent a week collecting items including hygiene products, protein bars and other goodies to make holiday packages for military members deployed overseas. 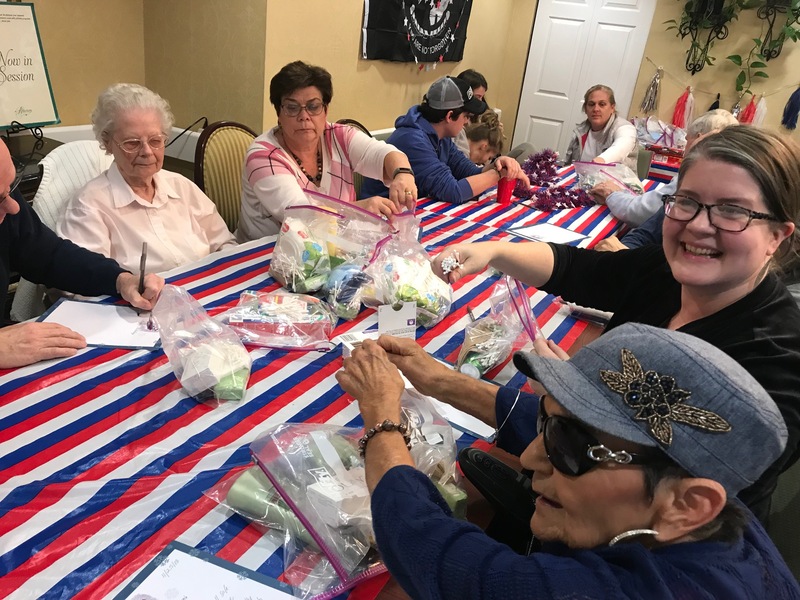 Together with staff and families, the residents made over 125 packages. Each package includes a unique handwritten letter from a resident, some of whom are military veterans themselves. 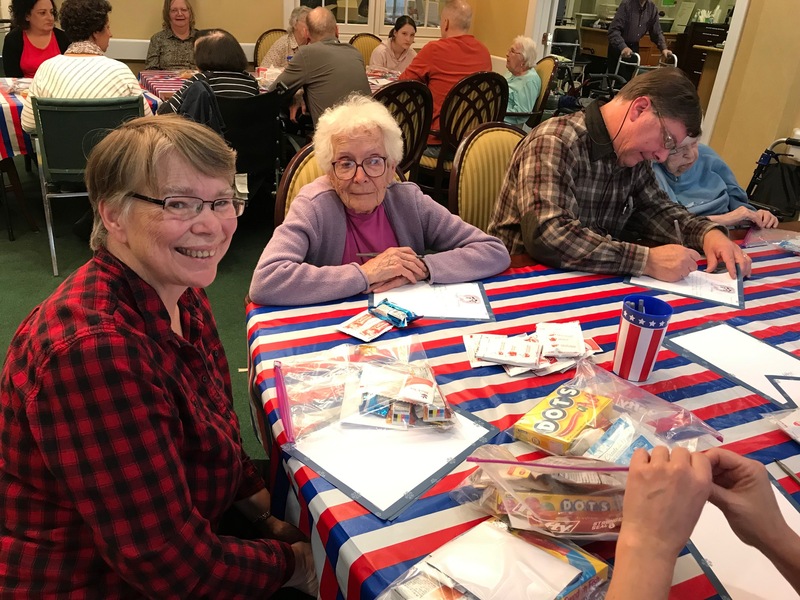 The group wrapped up the day with patriotic music and their favorite hors d’oeuvres. Brandywine Living is a market leader in luxury senior living, including assisted living, memory care and independent living. Founded in 1996, and headquartered in Mt. Laurel, NJ, Brandywine currently operates 29 communities in six states (PA, NJ, NY, CT, VA & DE) with the capacity to serve over 3,000 residents. My mother used to take naps in the afternoon, now she is involved in activities instead! From the food, to the staff, to the activities, Mother is just thrilled with everyone and everything there. She calls Brandywine her home, which of course makes us so happy.